Robin Hood. Danny Ocean. Catwoman. Han Solo. We've all seen the "thief" and "outlaw" become the hero of their story, and quite possibly wanted to take on that role, ourselves. I mean, rogues are a thing, after all. Well, how about an entire RPG based around your group as a collection of thieves from different cartels in a fantasy city? That's just what you get in Dusk City Outlaws, which is up on Kickstarter now. 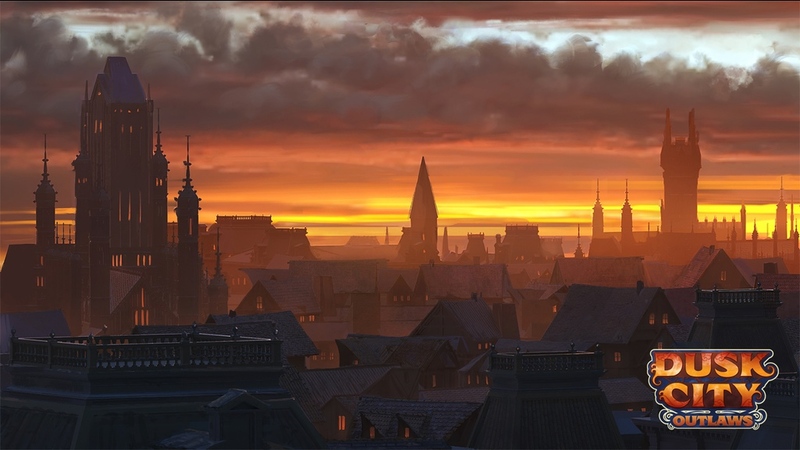 Dusk City Outlaws is a tabletop roleplaying game inspired by books, TV shows, and movies like The Lies of Locke Lamora, Leverage, and Ocean's Eleven, where players take on the roles of thieves belonging to the eight cartels that rule the criminal underworld of a massive fantasy city. The players come together to form a crew and take on a job, planning and executing a criminal scheme and earning the respect of their peers. The game comes as a boxed set, with all the game materials needed for an entire gaming group to start playing. The game is designed to be easy to start playing, even on a moment's notice. Once all of the players are familiar with the rules, it takes only minutes for one player to read through the scenario while the other players quickly make characters. Dusk City Outlaws has a streamlined rules set that uses a sleek narrative dice system and player-empowering special abilities to let the players craft a story about a daring heist or a long con without slowing the game down to consult a rulebook. Everything the players need to know stays on the table in front of them for the duration of the game. For the Judge, the game's setting is a fantasy city sandbox, and the game provides a resource system that lets the Judge easily react to player actions and providing interesting challenges and plot twists without the need for advanced preparation. The Kickstarter campaign is doing well. They're about 5/6 of the way to their goal with still 19 days on the clock.